Symbyax is a popular prescription drug that combines fluoxetine, which is an antidepressant, with olanzapine, which is an antipsychotic. It is prescribed to treat depression caused by bipolar disorder. Unfortunately, it has been linked to a range of serious birth defects, including persistent pulmonary hypertension and defects in the heart, lungs, cranium, and abdomen. If you gave birth to a baby with serious defects after taking Symbyax during pregnancy, you may be entitled to compensation. The experienced Symbyax lawyers at Moll Law Group are available to evaluate whether you have a case. Billions of dollars have been recovered in cases in which our dangerous drug attorneys have been involved. Even after releasing a drug to market, drug manufacturers have a responsibility to keep up with adverse side effects and warn doctors and patients of the risks associated with the medication. 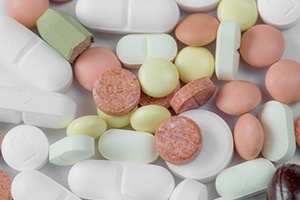 The FDA does not conduct product testing, and it decides to approve drugs based on an analysis of risks and benefits, as shown in premarket studies conducted by a manufacturer. Symbyax is a combination of two drugs that have been associated with serious birth defects. It is devastating to a new parent to learn that his or her child's birth defects could have been prevented by not taking Symbyax. When a drug manufacturer fails to provide adequate warnings and puts profit ahead of patients, the only way to hold it accountable may be to file a civil lawsuit with the assistance of a Symbyax attorney. If a product is used as intended by a patient, and the manufacturer provided appropriate warnings about the side effects, the consumer will not be able to sue. However, if a manufacturer specifies a product use without warning of the serious side effects associated with that use, and the patient uses the drug as intended, resulting in serious harm, the manufacturer may be held responsible. A failure to warn is a marketing defect. In most states, a manufacturer may be held strictly liable for a marketing defect, which means that it may be held responsible if you can prove that there was a failure to warn that caused an injury. Manufacturers may be held responsible under a theory of strict liability, even if they used reasonable care. A few states, however, require a plaintiff to prove negligence. In those states, you must prove duty, breach of duty, causation, and damages. Issues that are likely to be addressed in a failure to warn lawsuit arising out of Symbyax birth defects are whether the producer of the drug could have foreseen the dangers and whether warnings would have prevented what happened. Symbyax has not been a subject of a major settlement or verdict. However, since Symbyax contains olanzapine and fluoxetine, which have an association with birth defects, the drug manufacturer should know of the risks of prescribing Symbyax to pregnant women. Doctors should explain the risks associated with Symbyax to their patients. If the manufacturer provided warnings to a doctor of the potential risks of taking Symbyax when pregnant, but the doctor failed to provide warnings to his or her pregnant patients, a medical malpractice lawsuit, rather than a product liability lawsuit, may be appropriate. The use of Symbyax has been associated with an increased risk of birth defects, stroke, and transient ischemic attacks. If you have been harmed by this drug, the Symbyax attorneys at Moll Law Group are available to pursue a claim against the manufacturer on your behalf. Our firm handles product liability cases throughout the nation, including in states such as Ohio, Illinois, New York, Pennsylvania, California, Texas, and Florida. You can contact us online or call us at 312-462-1700 to set up a free consultation with a product liability attorney.